The beautiful ReWrap tree bag, which debuted at Dutch Design Week 2015 in Eindhoven, is not only chic, but also completely compostable. 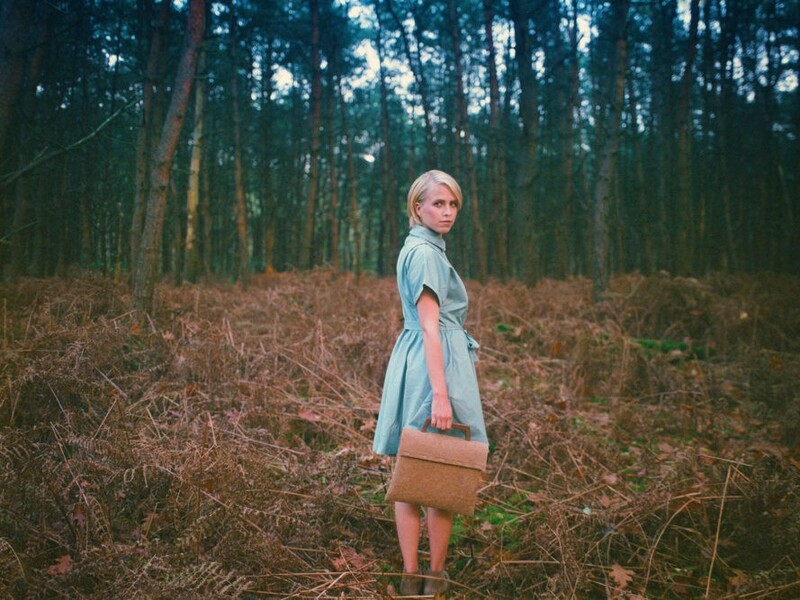 Made entirely from natural fibers, the savvy bag is also naturally waterproof. In addition to its overtly sustainable style, the bag is also ethically created, made in a small workshop which employs workers with disabilities with competitive wages. ReWrap’s products are fully inspired by the Cradle to Cradle principle, with a clear line from a life of use to returning to the earth. The bag is designed to evoke a professional purpose- folding over in a flap to conceal important documents, a laptop, as well as personal effects. Carried with a walnut handle, the bag was meant to appeal to both sexes as a personal carryall that emphasizes its natural and sustainable roots. The tree bag’s exterior is made from press coconut husks, which are also a natural water deflecting material. The fibrous brown material is left in its natural color, which coincides with the walnut wood handle and natural colored wood pulp thread stitching. Inside, the bag remains waterproof with a lining of sun-dried natural rubber. When the natural bag has come to the end of its use to carry your goodies, it then transforms to its final use- as fertilizer. The bag, in its entirety, can be poetically used as compost to help foster the growth of new trees.